Thanks so much for letting me know. I was able to buy it on eBay. My daughter is so happy! When I opened the mail, and she saw it she started yelling MONKEY, MONKEY then smiled and hugged it. I had looked a number of times, but never found it. It was used, but is like new, and the price was right. 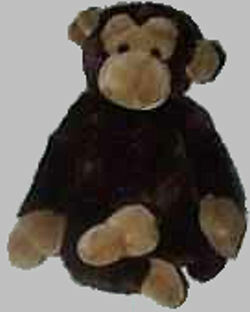 I see you helped someone find this same stuffed animal, and I was wondering where I could get one. It’s the KOALA BABY SMALL Brown & Tan MONKEY with RATTLE. My 18 month daughter loves it, and it is getting very beat up, to say the least. I would love to have another one, since she can’t sleep without it. She actually asks for it before bed, calling it MONKEY. If you could find me one that would be great.